A 3 seater sofa, part of Moher sofa. 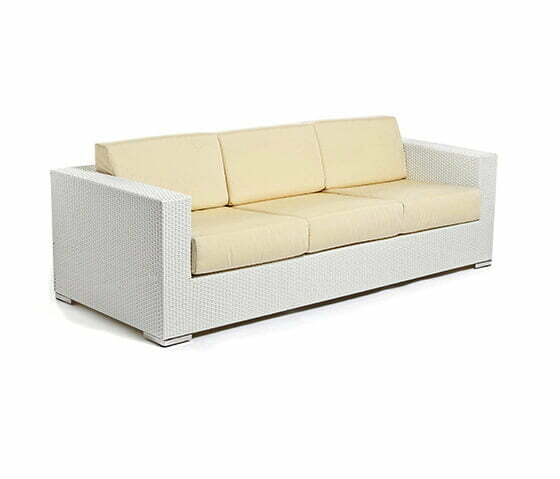 Using Viro strap wicker (flat), it perfectly woven in durable aluminium frames. The strength of grade #304 stainless steel sustains beautifully as its feet.